The sustainability dimension of our work is populated with a broad range of actors, with whom we engage, partner and exchange: our employees, local people, and indigenous communities, community leaders, government representatives, NGOs, international organizations, universities, research institutes, importers, suppliers, and third-party providers, all the way to end-consumers. Founded in 2012, ACFAP is a Ministerial agency based in the Republic of Congo, whose mandate is to protect wildlife and several national parks, natural reserves and biosphere/community reserves. Together with ACFAP, we work on PROGEPP (Projet pour la gestion des écosystèmes périphériques au Parc National Odzala-Kokoua, i.e. Project for the management of ecosystems neighbouring the National Odzala-Kokoua Park), to ensure that our sustainable practices preserve the natural tropical forest we manage from irreversible change. African Parks is a non-profit conservation organisation that manages Odzala-Kokoua national park, in partnership with the government and local communities. Together we train new eco-guards and offer refresher trainings to the rangers operating in our forest concession. We have joined 107 partner countries and organizations working together to promote sustainable resource management, improved living conditions and biodiversity protection in the Congo Basin. With Control Union Certifications we are certified for the FSC® and PEFC(™) chain of custody requirements enabling us to maintain the chain of custody to our clients when selling certified products. Control Union’s Timber Legality Verification (TLV) certificate assures us we are applying a solid due diligence approach to avoid sourcing illegally harvested timber based on EUTR and Lacey Act requirements. Together with other FSC certified companies, Interholco proudly supports 'Fair and Precious', a campaign and a brand based on 10 engagements, aiming to raise awareness on the wide range of benefits of tropical wood that is sustainably produced. A PhD researcher from iDiv stayed in our production site at IFO in order to conduct research (now published and available online) into a hunter self-monitoring scheme, to test whether it could be used to accurately monitor the state of game species populations and to support sustainable hunting. The Natural Capital Coalition is a unique global multi-stakeholder platform bringing together leading initiatives and organizations to harmonise approaches to natural capital. 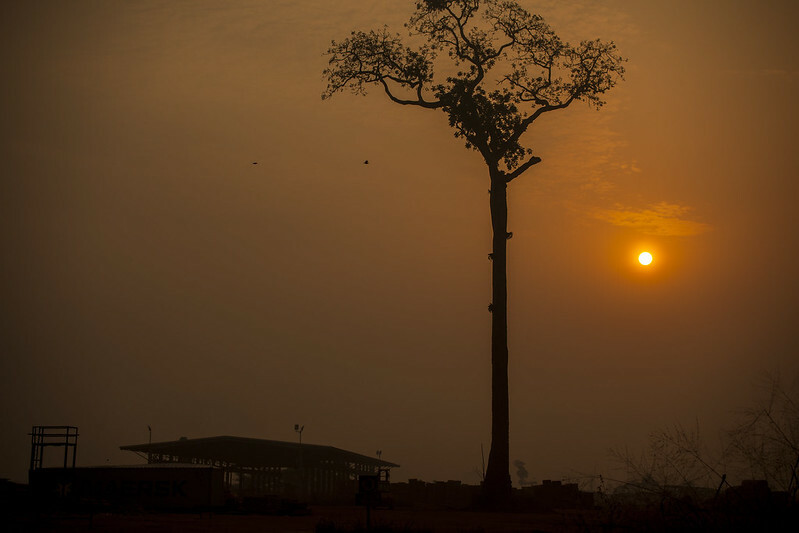 We conducted a case study based on the Natural Capital Protocol to estimate the value, opportunity cost and environmental, social and economic benefits of Sustainable Forest Management in the Congo Basin, as opposed to other land-uses. Our assessment will guide our future monitoring indicators which are integrated in business decision-making. PEFC is an international non-profit, non-governmental organization dedicated to promoting Sustainable Forest Management (SFM) through independent third-party certification. Together we participate in developing standards for the Congo Basin. In the framework of PROGEPP (Projet pour la gestion des écosystèmes périphériques au Parc National Odzala-Kokoua, i.e. Project for the management of ecosystems neighbouring the National Odzala-Kokoua Park), we work together with the Ministry of Forest Economy of the Republic of Congo and WCS to protect the natural tropical forest we manage together with its wildlife. Rainforest Alliance (RA) is the certifier that verifies compliance of our forest management and timber processing with the FSC standards. RA is an expert organization supporting us with advice on best practice in our operations. We work with the European Sustainable Tropical Timber Coalition (STTC) on promoting sustainable tropical timber on the European market. swisspeace developed together with us a Conflict Sensitivity Manual, to help us avoid social challenges before they escalate to conflict. In 2011, independent journalist, film director and former NGO activist Thomas Weidenbach set out on a journey to the North of the Republic of Congo. He produced a documentary of sustainable forest practices implemented by IFO.